The first introduction of Star Wars in the Disney Parks came in the form of Star Tours at Disneyland. The ride would also come to Disney’s Hollywood Studios in a few years. 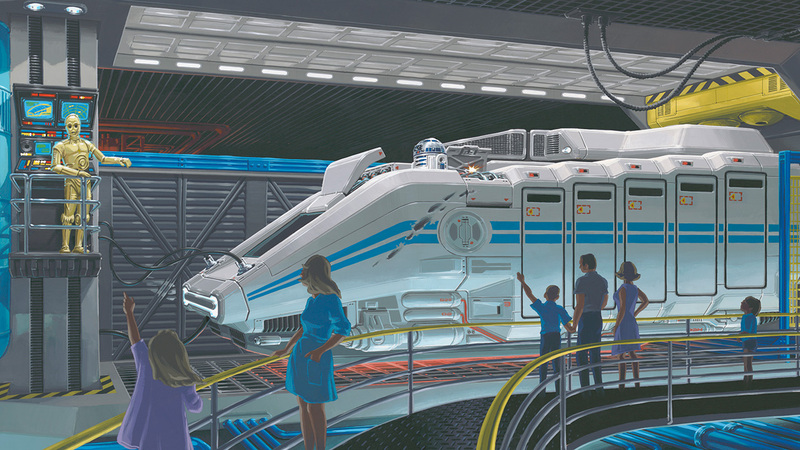 Both of these versions of the ride would close in 2010 for what we have today, Star Tours – The Adventures Continue, which gave guests a randomized sequence of events. What happened next was out of this world. At the 2015 D23 Expo, it was announced that both Disneyland and Disney’s Hollywood Studios would receive a land revolving around Star Wars. For Disneyland, the land will be located in the back, surrounded by Frontierland, Critter Country, Fantasyland, and Toontown. In Disney’s Hollywood Studios, it would replace the Streets of America. 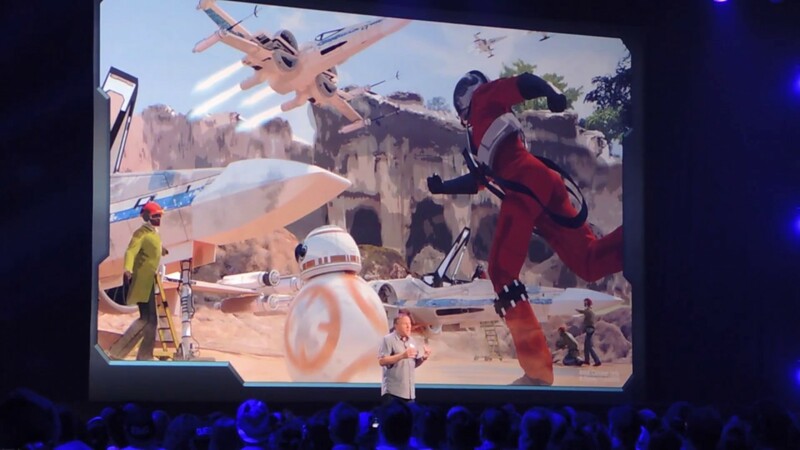 Star Tours even received a new scene that ended with a preiew of Batuu, the planet Star Wars: Galaxy’s Edge revolves around. However, both of these locations are separated from Star Tours by entire lands. Which begs the question: What will happen to Star Tours when Star Wars Land opens? Many believe the ride will just be shut down. The time period of the ride originally took place between the Prequels and the Originals. However, the new scenes recently added place the ride’s timeline in two different places. Shutting the ride down could clear up some confusion on the current time period for the parks. Not only that, but the area could be re-purposed for a new attraction. However, many also argue that the ride is very popular and it would be foolish to shut it down. The other popular theory is a bridge. With the addition of the Batuu ending, some folks are suggesting that Star Tours could simply add a bridge to the Star Wars: Galaxy’s Edge so the two are connected. That could work for Disney’s Hollywood Studios, where it’s only a walk down the street – literally. But for Disneyland, it wouldn’t be so easy. Star Tours in Disneyland is located in the very front of Tomorrowland, meaning that it’s a few lands away. Who knows what will happen to Star Tours? Maybe it’ll stick around, maybe it’ll be shut down. Either way, don’t shoot the messenger! That sounds like an ambitious task — if it happens, I’d love to see a documentary on that! Hmmmmmm…. I never thought about this…. I feel like maybe they will have the entrance from the backside like they did for Toy Story Midway Mania? Good thought. Could also put in a people movie or go from one place to the other in HS. I never thought about it either. 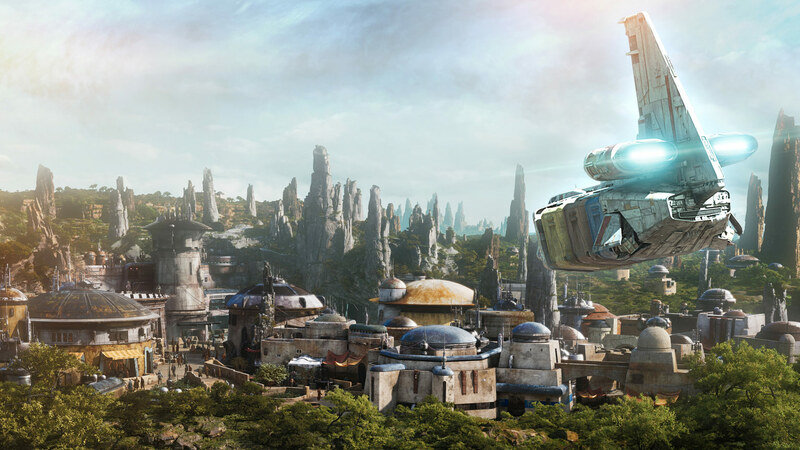 Since Galaxy’s Edge is themed to only one planet in the galaxy, I think it would be fine to leave Star Tours where it is. The surrounding area is themed to Endor, a different planet from Galaxy’s Edge. It could also help evenly disperse the crowds to have two different Star Wars areas. There’s also the Launch Bay in a whole other area of the park – what will happen to that?